American sculptor and poet, son of the jurist, Joseph Story, was born at Salem, Massachusetts, on the 12th of February 1819. He graduated at Harvard College in 1838 and at the Harvard Law School in 1840, continued his law studies under his father, was admitted to the Massachusetts bar, and prepared two legal treatises of value -- Treatise on the Law of Contracts not under Seal (2 vols., 1844) and Treatise on the Law of Sales of Personal Property (1847). Abandoning the law, he devoted himself to sculpture, and after 1850 lived in Rome, to where he had first gone in 1848, and where he was intimate with the Brownings and with Landor. He died at Vallombroso, Italy, on the 7th of October 1895. He was a man of rare social cultivation and charm of manner, and his studio in Rome was a center for the gathering of distinguished English and American literary, musical and artistic people. During the American Civil War his letters to the Daily News in December 1861 (afterwards published as a pamphlet, The American Question, i.e. of neutrality), and his articles in Blackwood's, had considerable influence on English opinion. One of his earliest works in sculpture was a statue of his father, now in the memorial chapel of Mount Auburn Cemetery, Cambridge, Massachusetts; others are "Cleopatra" (of which there is an enthusiastic description in Nathaniel Hawthorne's Marble Faun) and "Semiramis" in the Metropolitan Museum of Art, New York; the "Libyan Sibil", "Saul", "Sardanapalus", "Judith", "Delilah", "Jerusalem Desolate", "Alcestis", "Medea", "Electra", "Nemesis", "Sappho" and other ideal figures; and portraits of George Peabody, erected in 1869 in London (a replica in bronze being in Baltimore, Maryland); President Quincy of Harvard, at Cambridge, Massachusetts; Colonel Prescott, at Bunker Hill; Edward Everett, Public Gardens, Boston; Chief Justice John Marshall, on the west terrace of the Capitol, and Professor Henry for the Smithsonian Institution, Washington; and Francis Scott Key, San Francisco. Among his writings, in addition to the legal treatises mentioned above, are Life and Letters of Joseph Story (1851), Roba di Roma (1862), Proportions of the Human Figure (1866), Fiammetta (1885), a novel, Conversations in a Studio (1890), Excursions in Art and Letters (1891), and several volumes of poems of considerable merit. 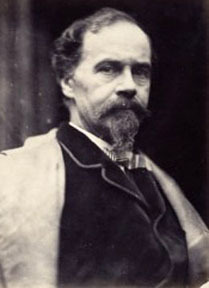 His poems were collected in two volumes in 1885. Among the longer are "A Roman Lawyer in Jerusalem" (a rehabilitation of Judas Iscariot), "A Jewish Rabbi in Rome", "The Tragedy of Nero" and "Ginevra di Siena." The last named, with "Cleopatra", was included in his Graffiti d'Italia, a collection published in 1868.